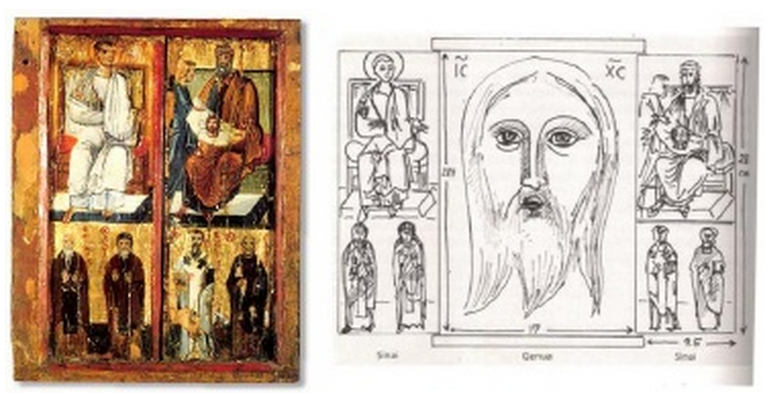 The Mandylion or image of Edessa, first mentioned in the 6th century, was a depiction of Christ’s face, described by some texts as a painting and by others as a miraculous imprint on a cloth. It is reasonable to believe that this mysterious cloth was the Shroud which is today kept in Turin, folded in such a way as to show only the face. The protagonist of the events related to the Edessan image is Thaddeus-Addai, who is at times defined as “apostle” and at other times simply as disciple. The identification of Thaddeus Addai with the apostle Judas Thaddeus or one of the 70 (or 72) disciples remains an issue which deserves further studies; however, considering the research already conducted, a possible relation between the numerous literary witnesses and the figure of Judas Thaddeus is not to be ruled out. 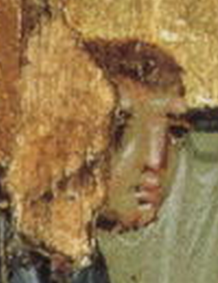 The upper part of the diptych, on the left, shows the depiction of a saint, identifiable as Thaddeus. However, it is likely that this saint is not one of the 72 disciples, but exactly the apostle Judas Thaddeus, as identified in Greek books. The Western and Eastern traditions diverge substantially on this point. 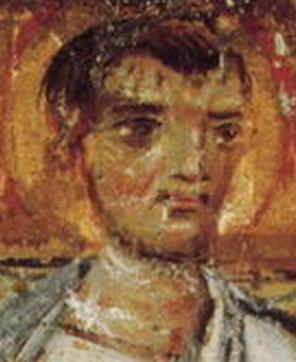 In the upper right side, King Abgar is represented with the facial features of Emperor Constantine VII, who in 944 moved the relic to Constantinople . The images of St Judas Thaddeus are very late in the West, and the saint is always represented carrying a medal depicting Jesus’ face. In Early Christianity and in the Middle Ages, the apostle Judas is only represented in the apostolic college, with no reference to the Mandylion (mosaics in Monreale, el Bawit in Egypt, etc.). The saint depicted on the left has a face similar to that of the character who, on the right, hands over the Mandylion to King Abgar. This similarity does not prove that they are the same person, since byzantine painters used to employ patterns to reproduce the human face and, as always, painters tend to make self-portraits; this, therefore, would explain the similarity of the two and also the similarities of the saints depicted in the lower part.